Every Sunday we celebrate the Eucharist. 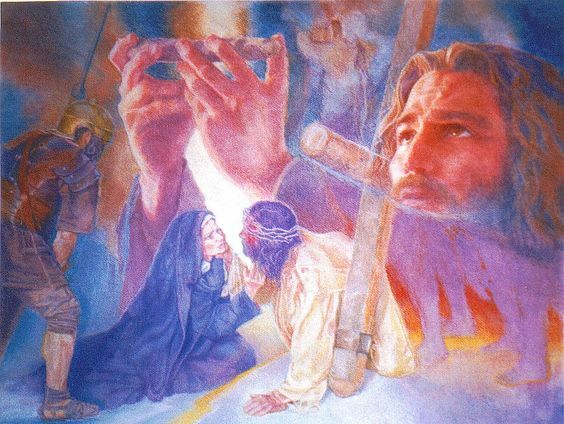 Every Sunday we remember the words of Jesus Christ ….”DO THIS IN MEMORY OF ME.” At the Last Supper, Jesus instituted the sacrament of the Eucharist because He wanted us to have His body and blood, so that we may gain strength in Him and grow in faith. Jesus didn’t say if you have the time………..He ordered us to eat His flesh and drink His blood because there is power in His precious blood, the power to heal and save and to wash away our sins. Please find the link below for proof of the Eucharist at the miracle of Lanciano-Italy. 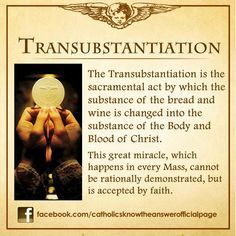 Here’s evidence of the miracle of the presence of Jesus Christ in the eucharist.